Information Hockey season is just around the corner and with all the fun and excitement, for some it will bring financial worry. 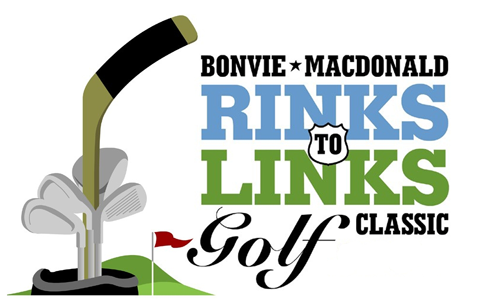 NHL'ers Dennis Bonvie and Craig MacDonald founded the Rinks to Links Golf Classic. Dennis and Craig wanted to show their thanks and appreciation to their home communities for the continued support they receive while on their hockey journey. To date Rinks to Links has raised over $175,000 supporting over 150 children with gear and registration costs as well as two local charities: Big Brothers, Big Sisters and Early Childhood intervention. The two day fundraising event consists of a wine and cheese, a dinner and auction, and a day of golf with celebrity guests. Craig and Dennis know this community loves the game of hockey and are pleased to be able to offer support to kids so they can participate at whatever level they enjoy.